Give your night club and dance floors a blast of UV light, this huge and powerful UV Cannon is an ideal device to use for DJ parties, night clubs and more. Specially developed for 400w high pressure UV (blacklight) lamps the UV Cannon includes an adjustable mounting bracket which allows you to attach it to the ceiling. 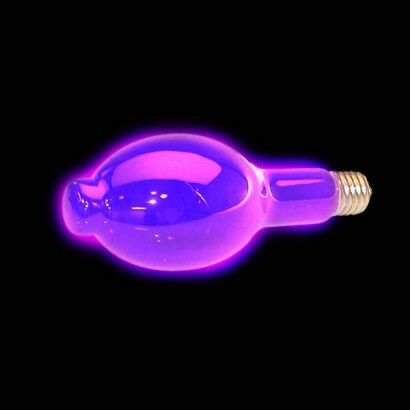 The UV Cannon also features a parabolic reflector and safety grille to spread the light whilst also keeping hands away from the powerful blacklight bulb (included). 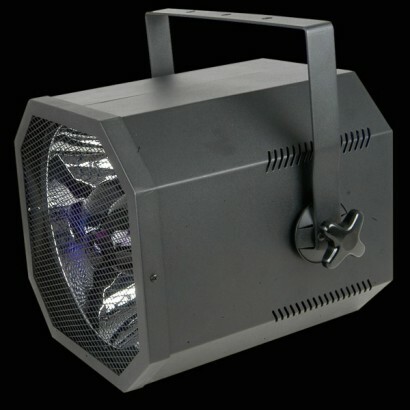 An intense UV Light Cannon ideal for dance floors and night clubs. Mounting bracket allows you to attach to the ceiling. Used it for my 18th - was truly epic! Goes well with the strobe cannon too! Well worth the money!